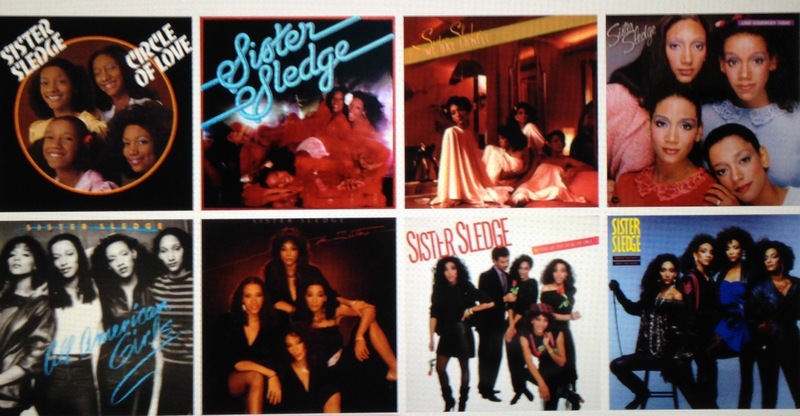 Incredibly enough, 2016 marks the 45th anniversary of Sister Sledge as recording artists! Yep, their very first single “Time will tell” came out in 1971…. Eight years on, they had their major break-through; their album “We Are Family” and its hit singles “He´s the greatest dancer”, “Lost in music”, “Thinking of you” and the classic title track made them household names all over the globe. From their first album, “Circle Of Love” (1976) and up to their great 1985-release, “When The Boys Meet The Girls” they enjoyed a very golden decade indeed, churning out hits and very good albums. This post is just a small reminder – to draw your attention to the greatest sister act since the Andrews Sisters, and to ask you to re-accquaint yourself with some of their great album. Sister Sledge were SO much more than just their all time greatest hit, “We are family”. The sisters smooth, sliky, soulful harmonies are just what you need during the grey, cold and dark January evenings. Music and love “given in a family dose”!